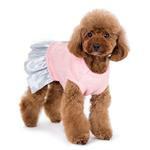 Your spectacular diva will look amazing in this pink and silver Party Princess Dog Dress by Dogo! 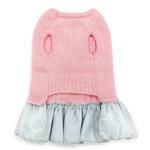 The Party Princess Dog Dress by Dogo will turn heads and keep your pooch looking precious and warm. This luxurious sweater is made of mohair with a cable knit design and is accented with shimmering silver bows. You'll love the adorable silver satin ballet skirt with a glitter tulle overlay that's got just the right amount of fullness. 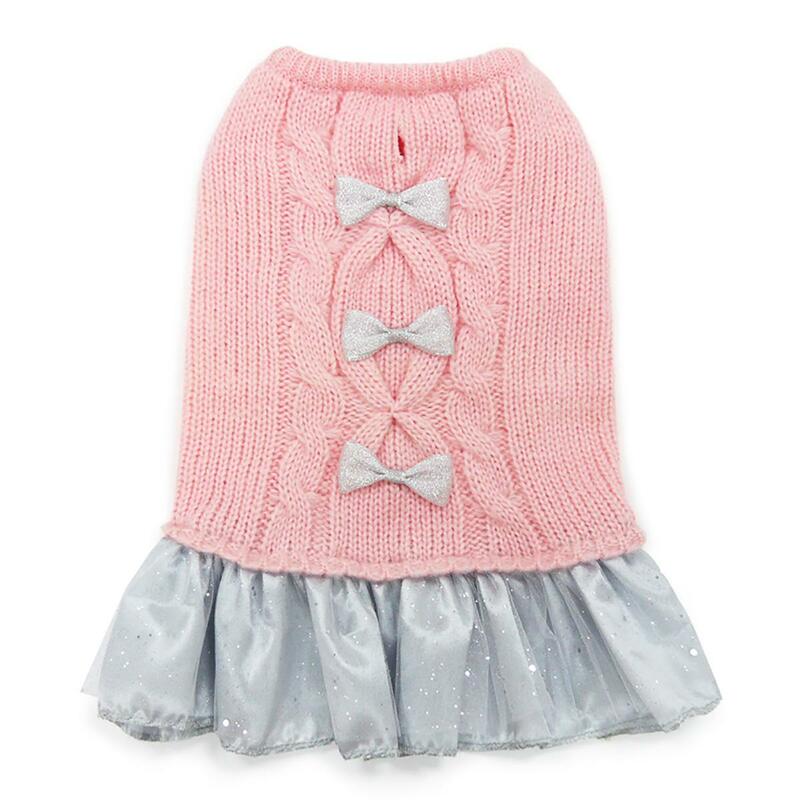 Your pup will prance with this pretty dress that's comfortable, stylish, and warm. The leash hole on the back and the high-cut tummy allows your pet to take quick outside breaks from the party while staying clean and dry. The sleeveless style won't impede her dance moves. This precious dress is perfect for birthdays, Valentine's Day, and even for a chilly Easter. Any occasion will feel special when she wears this darling dog dress! Care: Hand wash in mild detergent. Lay flat to dry. Posted On 10/02/17 by Molly C from , Yes, Molly C recommends this product! This is the sweetest sweater ever!! My little one is so cute in it! Very fancy. Posted On 07/10/17 by Marcelle D from West Deptford, NJ Yes, Marcelle D recommends this product! Sofia my French bulldog will look amazing in her new party dress! Posted On 04/20/17 by Cindy S from Racine, WI Yes, Cindy S recommends this product! We waited a long time for this dress. It was well worth the wait. I was excited to see the rinestones also on the Chest area .as well as on the back of the Beautiful Dress. Thank You well done! Love all our Dogo dresses and this sweater dress is adorable!